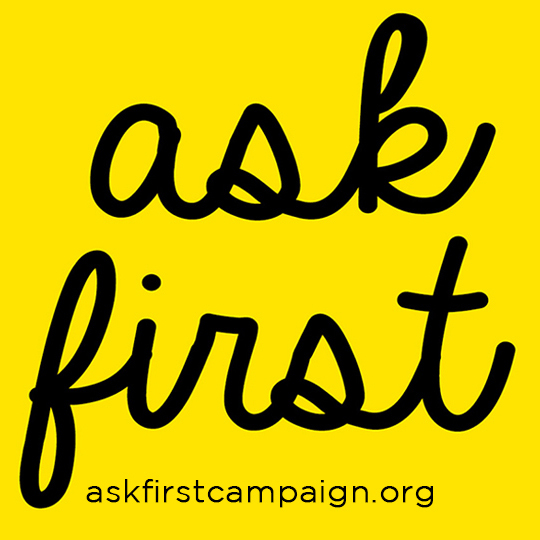 Ask First is a sticker campaign started in 2014 to create awareness about consent. The campaign consists of eye-catching stickers and temporary tattoos that simply read, ‘Ask First’, reminding people to ask for permission before touching or engaging with another person. This project has been brought to the Folsom Street Fair for the 3rd year in a row.